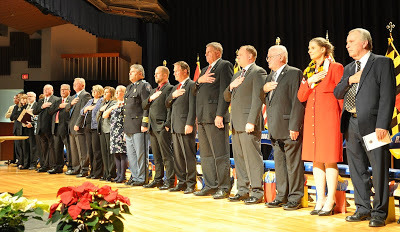 St. Mary’s County Sheriff Tim Cameron took the oath of office on Monday, December 3, 2018, along with other local elected officials. 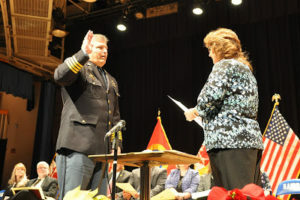 The Sheriff was elected last month to a historic fourth consecutive term. 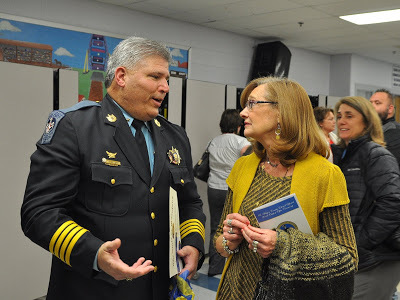 Only one other man served four terms as St. Mary’s County Sheriff in the office’s 381-year history, but those were non-consecutive terms. 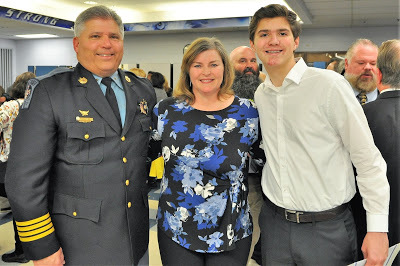 This entry was posted on December 4, 2018 at 2:53 pm and is filed under All News, Community, County, Law Enforcement, More News, St. Mary's News, z 600X120 Top Ad Bottom, z 600X120 Top Ad Top. You can follow any responses to this entry through the RSS 2.0 feed. 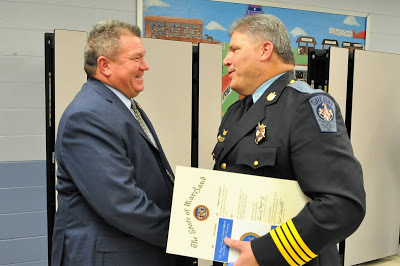 Awesome job Sheriff. Keep up the good work you’re doing. Got 4 more in ya after this 4 are done? Why aren’t the oaths of office that these guys take published on their websites, or published on a website? Of course the oath is a basis for making an argument that something should/ should not be done. YAY! 4 more years of rising drug crime rates, assaults, burglaries, and injuries/deaths due to car accidents because of no traffic enforcement! I suppose in a way, Cameron is in control of his own job security!